The UK's best hypnosis and hypnotherapy training courses are listed here. Use the table to compare details of different courses to find the one that is right for you. In-depth information for each course is given below. Note than only classroom hours are advertised here but many courses require additional home study. Course structure: Annette Brown School of Hypnotherapy offers a complete programme of accredited training. The course is over 10 months, one weekend each month. Altogether you will complete 130 school hours (20 days) plus home study and will take ten months to complete. Each student learns practical hypnotherapy skills, it is an essential part of all ABSH hypnosis course. The presentation of hypnotherapeutic techniques will be followed by demonstrations on class students and each student will be required to practice each skill in small groups to gain experience of working with both receptive and resistant subjects. We will practice each training day to take you from being inexperienced to an experienced and confident upcoming practitioner. Practice sessions will always be overseen by myself. Course content: History of Hypnotherapy. Professional Code of Conduct. Performance and Ethics. Ethical practice. What can hypnosis achieve and what are the limitations? Client’s present health, mental state, illnesses and disabilities. Psychology. Communication, the professional relationship and the environment. The conscious and subconscious processes. Induction techniques. The therapeutic process. Intervention methods. Neuro-linguistic Programming (NLP). The first session. Smoking cessation. Pain management. Weight loss. Anxiety, stress and phobia. Irritable Bowel Syndrome (IBS). Practice management. Reflective practice, continuous professional development and supervision. Accreditation: The GHSC is the validating body for the practitioner diploma exam. The General Hypnotherapy Standards Council (GHSC) and General Hypnotherapy Register (GHR) are the UK’s largest and most prominent organisations within the field of Hypnotherapy. Together they present an exemplary model for the simultaneous protection of the public and the provision of practitioner credibility and services. The GHSC is responsible for overseeing the criteria for the ongoing registration of individual practitioners within the GHR. What makes this course unique: The ABSH Clinical Hypnotherapy and NLP diploma give you all the skills, procedures, knowledge and confidence to instantly begin working and seeing your own clients with expert hypnotherapy and neurolinguistics programming (NLP) skills. On completion and accreditation of this course, you and your practice will become an associated member of the Annette Brown School of Hypnotherapy, and your business will be placed on the associated members page on the website. Course structure: Foundation course is 3 x weekend training and is a theoretical and practical training in hypnosis; Advanced professional diploma is run in conjunction with Birmingham City University and is a 4 x weekend course with advanced theoretical and practical content. Course structure: A mixture of theory and practical training sessions conducted at weekends. Training provides students with the knowledge and skills to use hypnosis professionally. Course structure: Our practitioner-level training (the Hypnotherapy Diploma course) is 10 full weekends, 9am-5pm, over a period of 9-10 months (guideline). Course content: The Hypnotherapy Diploma course content is outlined HERE in the 'Course Syllabus' section. Accreditation: Our practitioner-level hypnotherapy diploma course is externally accredited and validated by the General Hypnotherapy Standards Council (GHSC/GHR), the British Institute of Hypnotherapy and NLP (BIH) AND the Federation of Holistic Therapists (FHT). As well as that, we offer optional international certification with the National Guild of Hypnotists (NGH), whose certification is recognised in 80+ countries. The diploma course meets and exceeds the UK Core Curriculum requirements for quality hypnotherapy training. We are also a Central Register of Stop Smoking Therapists (CRSST) affiliated training school, an associate member of the UK Confederation of Hypnotherapy Organisations (UKCHO) and upon qualification, graduates of our certificate course are eligible to register with the Complementary & Natural Healthcare Council (CNHC). Our principal trainers come from very different backgrounds in the hypnosis world. 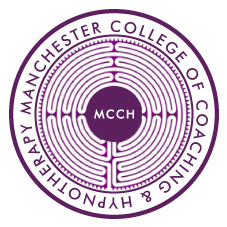 Dr Kate Beaven-Marks is one of the UK's most highly qualified hypnotherapists: she uses hypnotherapy on the wards in a London teaching hospital as well as being on the CNHC's profession-specific board for hypnotherapy. Rory Z Fulcher is from a less academic background: with experience as a stage & street hypnotist he has authored books and DVDs upon the subjects of rapid hypnosis and hypnotic entertainment as well as hypnotherapy. This effective combination of diverse and engaging trainers, alongside a tried-and-tested course format (Hypnotherapy Diploma), means that you are getting the very best hypnotherapy training available and a hands-on, practical, and fun learning experience. Course structure: Accredited Diploma Course: 16 days classroom training plus case studies and home study and assignments. The course consists of 3 modules. Course content: Training in how to hypnotise, how to carry out sessions, scripts, hypno-analysis and much more. Specific training in working with stress, phobias, smoking cessation, weight control, and emotional issues. Costs: Practitioner Level Diploma Course £2,195. Discounts given to those who book early. Entrance requirements: No previous knowledge or training required. Students need to be aged 18 or over, be of good mental health, and be sufficiently fluent in spoken and written English. There is some reading to be done prior to attending the course. Accreditation: The course has been externally accredited and validated by the General Hypnotherapy Standards Council (UK). It has also been accredited by the National Guild of Hypnotists (USA). We are a Central Register of Stop Smoking Therapists (CRSST) affiliated training school. Those qualifying are eligible to join the General Hypnotherapy Register and be registered with the Complementary and Natural Healthcare Council. What makes this course unique: Fast-track training in London by an experienced practising hypnotherapist and trainer. Training in regression hypnotherapy. Includes 1 year's membership of the National Guild of Hypnotists. Small class size means individual attention. Course structure: Certificate = 12 Days, Practitioners Diploma = 12 Days. Accreditation: UK General Hypnotherapy Standards Council (GHSC), International Hypnotherapy Register (IHR), International Certification Council (ICC). 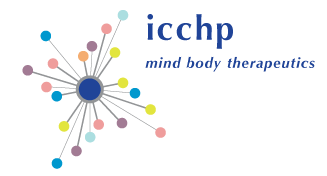 What makes this course unique: The ICCHP offers a comprehensive hypnotherapy programme with a range of study options to students needs. We provide a flexible approach to learning therapeutic hypnosis. Both class-room based and online learning options are available. We are always student focused, offering an online student learning and practice community, with global student and graduate forums where students can share and pool their knowledge and experience. Our online learning portal, accessible for those undertaking both classroom and online learning is available 24 hours a day and can be accessed by computer, tablet or smart-phone. Our aim to ensure that students graduate as confident hypnotherapists, happy utilising their hypnotherapy skills to effect positive change in their clients. Course structure: The practitioner diploma is run over 14 full days on an intensive basis or over 7 months attending one weekend each month. All teaching is classroom based. What makes this course unique: My course is designed to take you from novice to practitioner with a full understanding of how to treat clients. It is a very hands on practical experience. Apart from the theoretical content the bulk of our time is spent with me explaining techniques then demonstrating with a volunteer, you watch and then it is time for students to pair up and practice. Practice makes perfect! We make this learning experience fun, you will laugh and might even cry but it will be a very enjoyable experience. Refreshments and lunch are provided every day, plus there is in excess of £850.00 of extras thrown in (see my web site for full details). These extra awards make you eligible to describe yourself as a specialist on certain subjects. Included is a full marketing getting started plan. In other words everything you need to get going. Course content: counselling and coaching skills, psychological theory, NLP, induction techniques, parts therapy, regression including past life and future progression, clinical conditions including obsessive compulsive disorders, addictions, phobias, etc. Certificate Syllabus. Diploma Syllabus. Breakdown of course structure: Intensive practical 4 day workshops with reading assignments and practice sessions after each workshop. Course content: Training, both practical and theoretical, covers rapport building, management of the hypnotic state, suggestion therapy, current life regression, past life regression, spiritual transformation, body therapy, inner child regression, management of catharsis, releasing intrusive energy, interviewing clients, introduction to psychopathology, setting up a therapy business, between lives regression. What makes this course unique: It covers the best of traditional clinical hypnotherapy with transpersonal spiritual transformation. Course content: Certificate: this course is mainly focused on basic hypnotherapy assessment, hypnotic induction, and the use of suggestion. The course is based on the cognitive-behavioural model of hypnosis - and therefore what you learn lends itself very well to being integrated with cognitive behavioural therapy. Diploma: Training focuses on practical face-to-face classroom exercises and group learning. Stage one focuses on the core skills of a hypnotherapist whereas stage 2 deals with behavioural psychology and interventions in hypnotherapy. Stage 3 addresses cognitive concepts and techniques. The whole training covers much of traditional cognitive behavioural therapy but with a special focus on imagery techniques, imaginal exposure, relaxation training, and integrating hypnosis into CBT. Students are trained in the basic theory and skills - and also learn basic case conceptualisation and treatment design. Students must be aged 18 or over. Accreditation: Certificate Course - approved as CPD by the British Psychological Society Learning Centre; Diploma in Cognitive Behavioural Hypnotherapy - the diploma is awarded externally by NCFE (government regulated national awarding body) and is a Level 4 Award. The Diploma in Cognitive Behavioural Hypnotherapy is accredited by The National Council of Hypnotherapy, The General Hypnotherapy Register, The Register for Evidence-Based Hypnotherapy and Psychotherapy and The National Hypnotherapy Society.